Earlier this year we were approached by Karcher (the company who specialises in High Pressure Cleaners). They wanted to airbrush their new Eagle mural on an Anthracite (Charcoal Metallic) base to help launch their new 'professional' range. They chose to purchase a Harley 48 which would be branded to promote their company and after being used at many promotional events it was going to be auctioned off. 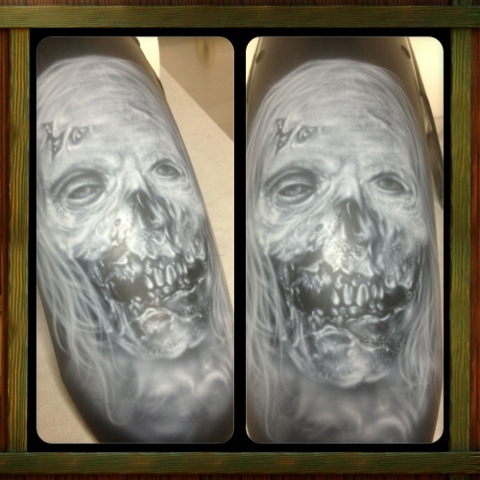 This video will show you how we airbrushed the Karcher Eagle on either side of the 48 tank, we also included some Karcher logo's which are 'ghosted' on both the front and rear fender's. 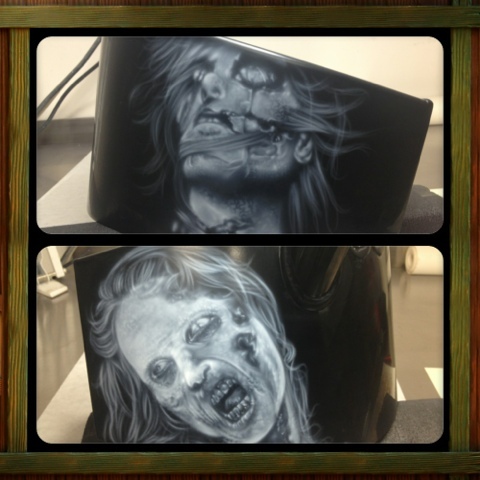 We have been busy working on the Zombie Harley. 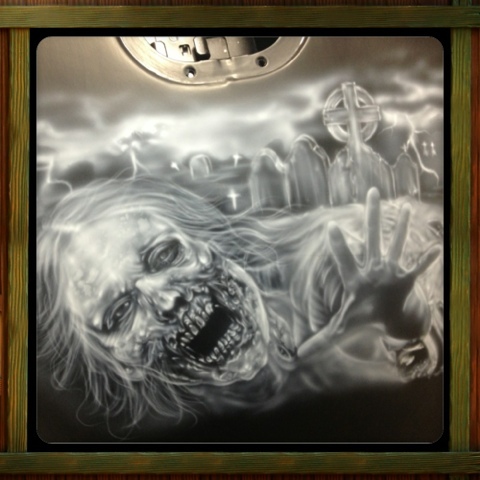 This involved project will showcase 8 blood thirsty zombie murals, the photos shown here are progress shots of stage 1 of the airbrushing being the white under painting. Once all of the murals have been rendered in this way colours will be added to the zombies, with progressively more detail added within each step, the backgrounds at this stage will most likely remain Black and White to really help contrast the murals and make them 'pop'. 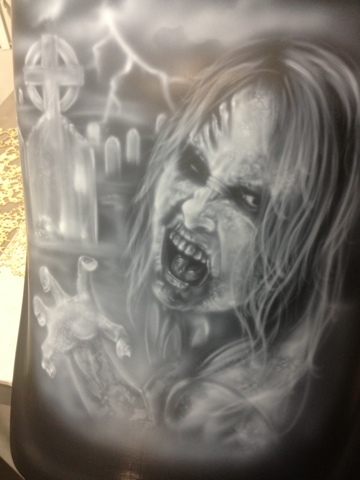 We hope you like the pictures and progress so far, this is going to be one crazy Harley once all done.